In the past decade or two, there’s been a noticeable, conscious shift towards experiences that improve our lives—just think about the popularity that organic foods, yoga and other positive lifestyle choices have enjoyed over recent years. Many are leaving behind the days of consumerist excess and unhealthy habits by deciding what goods we consume and how we consume them. And though we still have a long ways to go, it makes perfect sense to extend this idea to the realm of travel: a very personal experience that has even more of a widespread impact on our environment, our neighbours and ultimately, ourselves. 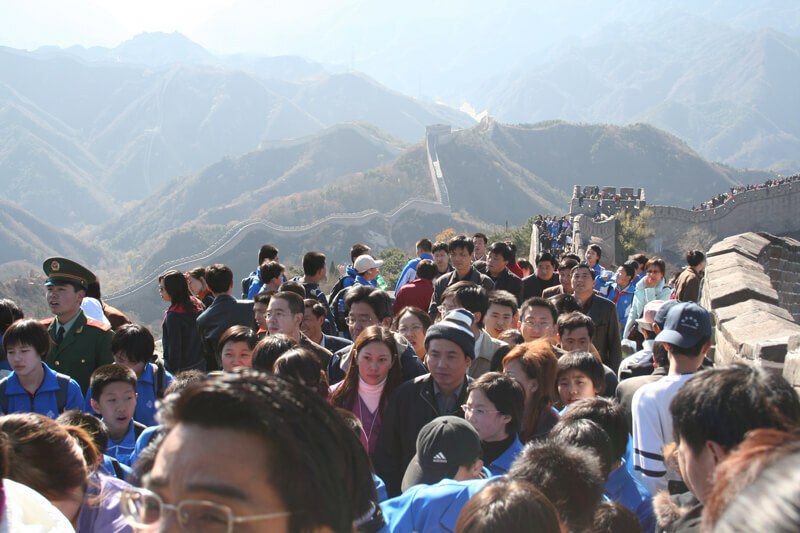 Overtourism is becoming more and more of a problem in several destinations around the world, as travel becomes more accessible to people. In 2017, the UN World Tourism Organization (UNWTO) estimated there to be 1.3 billion international tourist arrivals, and expects these numbers to rise by 4-5% by the end of 2018. The International Air Transport Association (IATA) forecasts about 4.4 billion scheduled air travel passengers for 2018. While these numbers are certainly welcomed news for the travel industry as a whole, it doesn’t account for carbon emissions that result from it. Also in 2017, IATA determined that there were 859 million tonnes in CO2 emissions produced from air travel alone, up 27% from a decade earlier. These of course, don’t include domestic tourist arrivals or passengers from other emission-heavy forms of transportation like cruise ships, or other contributing factors. Now, consider how much traveller movement takes place globally each year, and how much total greenhouse gas emissions are produced as a result, and you’ll get a better idea of what’s at stake! While climate change isn’t as topical as it once was in the media, “overtourism” on the other hand, is one of the biggest buzzwords of 2018—and it’s a scary one. Recently, extremely popular tourist destinations like Boracay in the Philippines and Maya Bay in Thailand (the famed location for the film The Beach), were forced to shut down for several months in attempts to curb the negative environmental effects they’ve been suffering. Other destinations such as Machu Picchu in Peru, Barcelona, Amsterdam, Iceland and many others have also been dealing with the consequences of overtourism. One could always argue that tourism is beneficial for the smaller economies that would otherwise struggle without it. But this can also be too much of a good thing, and these same destinations can fall victim to the likes of overtourism, and eventually reach a point of diminishing returns. It’s no secret that some of the most beautiful places in the world are found in developing countries, where ironically, there are the least amount of regulatory barriers in place to protect the communities involved. Reaching a saturation point can quickly lead to issues like overpopulation (even if a large percentage of that population is made up of seasonal residents and tourists), mass pollution, higher crime rates, inflated prices of goods and the exploitation of natural environments, in order to make way for developments that meet the demands of crowds. This combination of unsustainable practices and the lack of infrastructure to accommodate such rapid growth can lead to a decline in the quality of life for locals, not to mention that it also takes some of the fun away from other well-intentioned travellers. 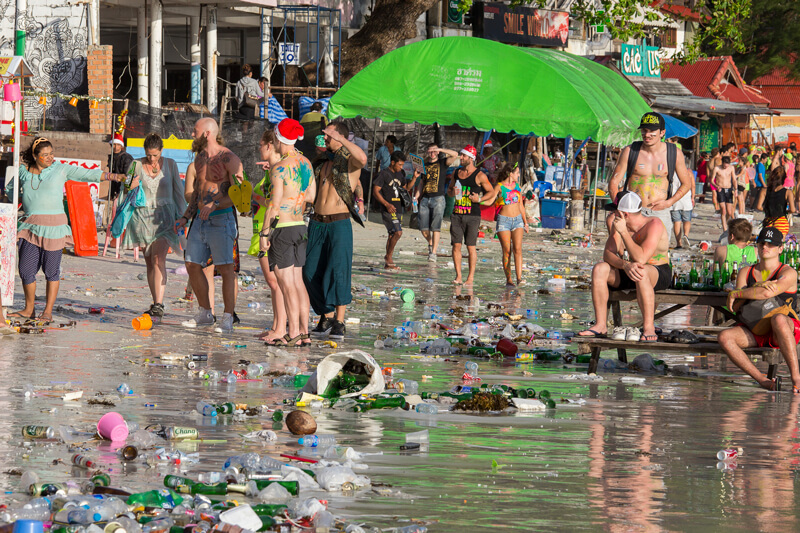 A serious call to action is needed in places where there are high amounts waste resulting from overtourism. It’s a concept that goes by many names—any combination of the words ‘responsible, ethical, sustainable or green’ coupled with, ‘travel, tourism, vacation or holiday’. Though not always entirely synonymous with each other, these terms hint at some idea or unifying theme. Current trends in responsible travel are something of a global reaction to the directly and indirectly destructive ways in which we’ve all participated in the tourism industry. Responsible travel is also about spreading awareness and setting examples for the next traveller. In fact, countries like Australia and Sweden are leading the way in ecotourism. Addressing the fact that it’s a shared global problem certainly forms initiatives and cooperation between countries, but there shouldn’t be anything stopping us from becoming responsible travellers ourselves, right here and now. We should, in our own ways, aspire to be like a modern conscientious traveller—one who is mindful and respectful of the cultural, environmental, socioeconomic and sociopolitical issues that concern the world we live in. Travel in the offseason: If you already have a destination in mind, but are more flexible with timing, visiting in the offseason will not only help you avoid the overcrowding and high price tags for airfare and accommodation, but you’ll also be supporting local businesses in the slower months. Find the most eco-friendly way to get to your destination: If you can spare a little more travel time, consider driving, bussing or taking the train there, if it’s feasible. Flying less is a good way for travellers to offset global carbon emissions. Do research on travel or tour operators: Some companies do a better job than others in running operations responsibly, sometimes prioritizing ethics over profit. Sustainable travel could even be one of their corporate goals, often achieved through partnerships with other green organizations. This includes companies that offer voluntourism opportunities as well. Participate sparingly in wildlife tourism: These types of experiences can be a double-edged sword. On the one hand, places like conservation centres do a great job of educating and raising awareness about endangered wildlife and threatened habitats; on the other, some tours can disturb or even damage local ecosystems by exploiting them. This precaution should also extend to consuming wildlife products, especially from endangered or trafficked animals. Again, do some research before you take part! Bring your own water bottles or containers: Many destinations don’t have the luxury of safe drinking water straight out of the tap. Travellers are forced to buy bottled water every time they need a drink, adding to the amount of waste that ends up at landfills (many municipalities don’t even have solid recycling programs in place). Support the local economy of your destination: Eat local and shop local! If you’re planning to bring back some gifts, it would be a little silly to buy something that’s made in China (unless you’re travelling to China, of course). Instead, try looking for handmade crafts and locally-made products—they make for much more authentic souvenirs and keepsakes, while not giving in to the commercialization of goods that inevitably finds its way to popular tourist spots. Engage with other like-minded people you meet on your travels: You might be able to exchange ideas about responsible travel, maybe learn something along the way, or even get to inspire others who want to travel responsibly, but don’t quite know where to start! Promote responsible travel habits: Social media is a great tool for shaping public opinion. Sometimes all it takes is a single compelling headline or photograph to engage an audience in lively discussions. You don’t have to preach about responsible travel like an evangelist; sometimes the best thing to do in affecting change is to lead by example. Go somewhere else: Is the destination you’re planning to visit at risk of overtourism, or is culturally or ecologically sensitive? 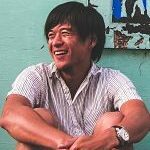 Think of different ways you can help alleviate the problem—you might find that the best solution is to simply choose a different destination to travel to, at least for now. Respect the place you’re visiting: Respect the environment, the people, their culture, as well as their customs and traditions. A good rule of thumb is, if you wouldn’t do it back home, you probably shouldn’t do it in someone else’s, either. Travelling responsibly ensures that we all get to enjoy its rewards for a long time to come. Travel is as accessible today as it ever was. But we can’t speak about travel without also considering its impact, whether positive or negative, on the environment and the communities involved. Whatever footprints we might choose to leave behind in a place, we need to make sure that it helps more than it harms. If we want to be able to travel well and freely tomorrow, we’ll need to rethink how we travel today. 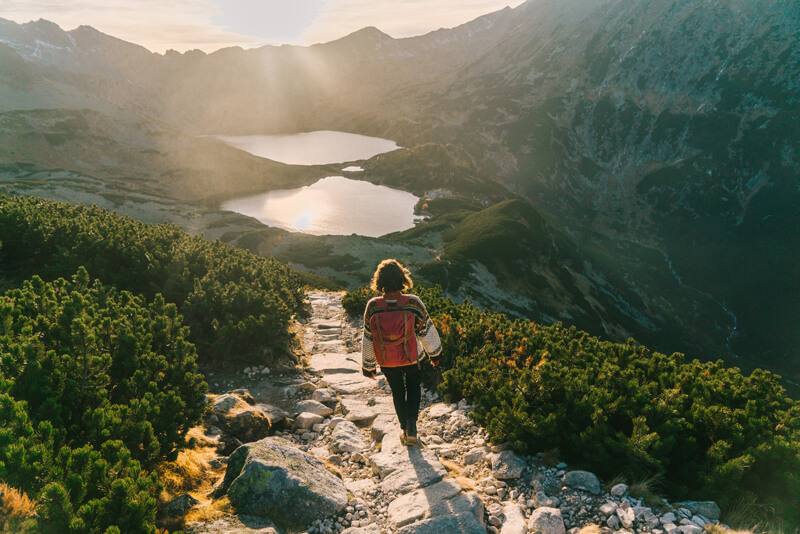 Responsible, sustainable or green travel requires a lifelong commitment from travellers, as we are the ones who ultimately decide what’s worth exploring, experiencing and preserving. Have any suggestions or experiences with responsible and sustainable travel? Share them below!